It is a great all round van, a pleasure to drive, nothing too fussy or complicated and very comfortable to sleep in. Long Wheel Base so plenty of room and head height with the pop top. Inflatable awning available on request. 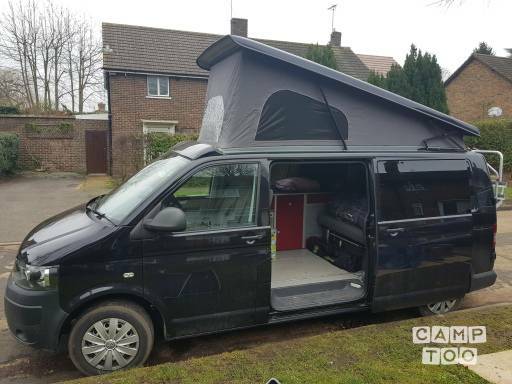 This is a family camper, please treat with love and care as you would your own. Must be returned with full tank of fuel.